A Rare Find!! 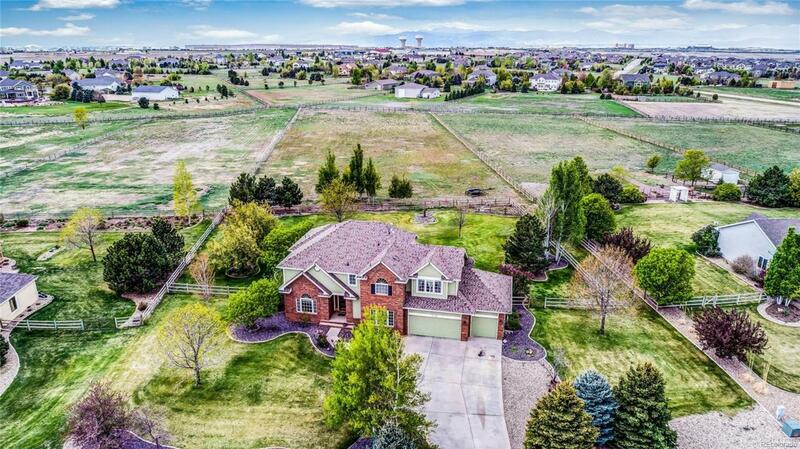 Gorgeous 2-Story Home with 2.5 Acres, Mountain Views & up to 2 Horses allowed!! Perfect for entertaining friends and family/One of a kind LOCATION!! From the moment you walk through the front door pride of ownership is obvious. 4 Bedrooms + Office/Study, Beautiful gleaming Hardwood Floors throughout, Tastefully updated kitchen/NEW Granite countertops,+ NEW upgraded Stainless steel appliances! Fully landscaped with mature trees, sprinkler system. All bathrooms have been updated!! Also - HVAC system only 2 years old, Tankless hot water heater only 2 years old, whole house humidifier, ALL NEW Cordless blinds, double fenced yard! Enjoy your new home year round!! Walk out to your cool & relaxing back patio with mountain views! Enjoy those summer BBQ's & good times. Enjoy life! Stay cozy in the winter with your warm and cozy fireplace+ a few MORE VERY PLEASANT SURPRISES! Only 1 buyer gets this home. Will be taken fast. See you at closing. Hurry!! Must See Virtual Tour! !